Kraków is considered one of the most beautiful cities of Poland..
will stay in your memory forever. 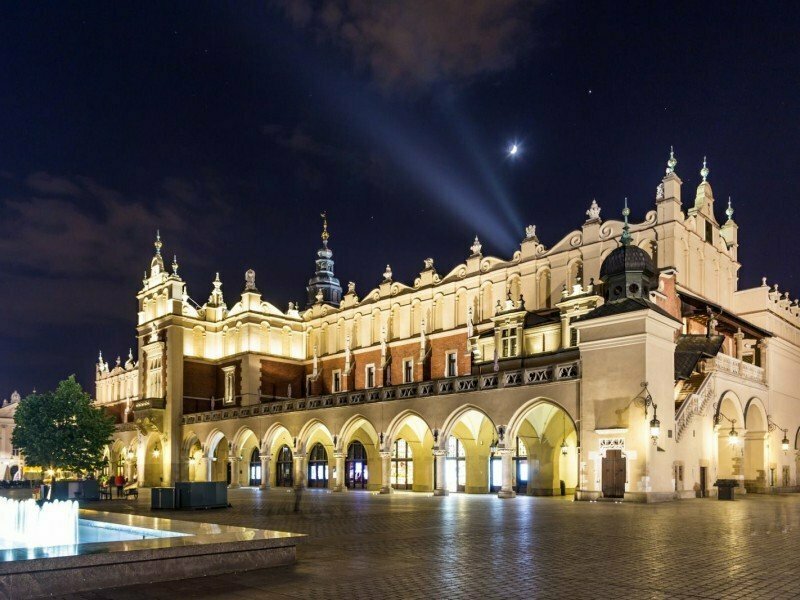 Main Market Square is a wonderful place to be for those who are in Krakow for the first time, as well as for those who visit the city regularly. Thanks to such sightseeing venues as the Cloth Hall, St. Mary's Basilica, the Town Hall Tower, Church of St. Adalbert and magnificent historic townhouses. On the first floor, there is National Museum with the remarkable exhibitions of Polish paintings and sculptures from the 19th century. Kazimierz is one of the most frequently visited places in Krakow as it is the centre of cultural life and historically important site. Once you walk along the unique streets you may pay a visit to remarkable synagogues such as Stara, Izaak's, Kupa's, Remuh's and Tempel. There are also noteworthy churches, for example Corpus Christi Basilica, St. Catherine's Church, Trinity Church as well as the Crypt at Skałka. The essence of Kazimierz district is Plac Nowy (New Square), which is also commonly named Jewish Square.